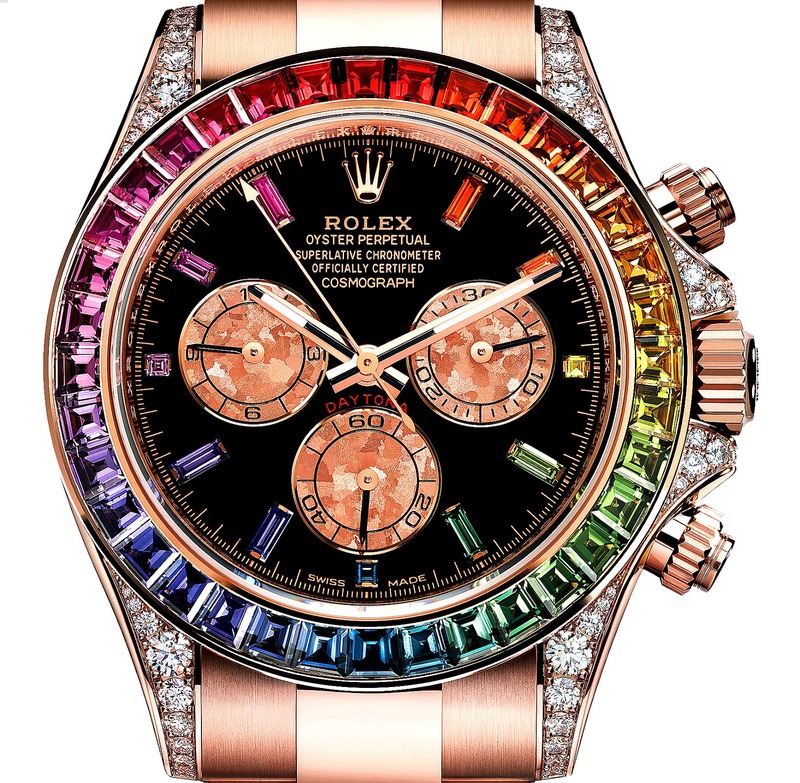 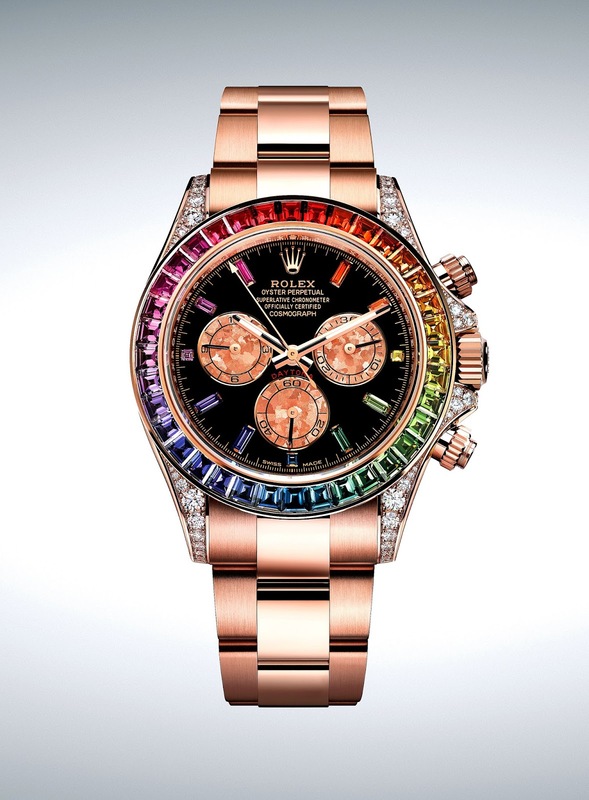 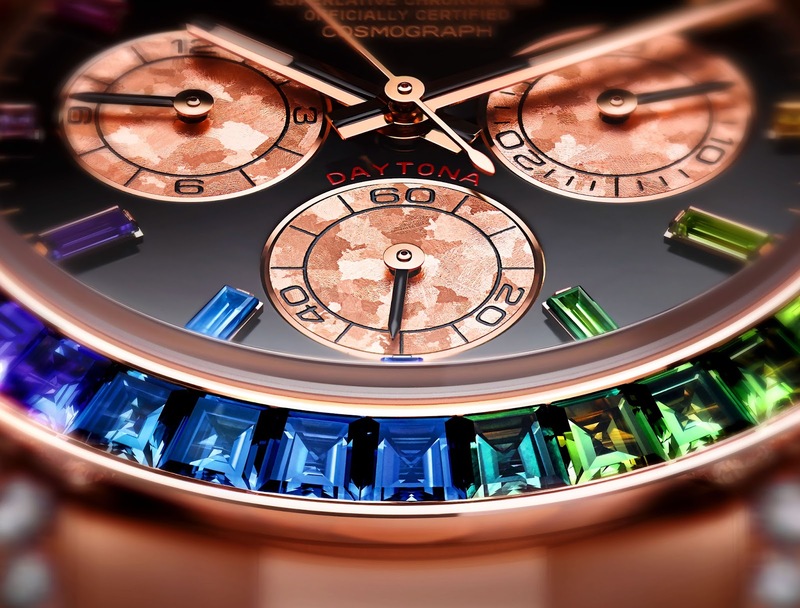 Rolex introduced the Rainbow Daytona in Everose Gold last year at BaselWorld in Switzerland. 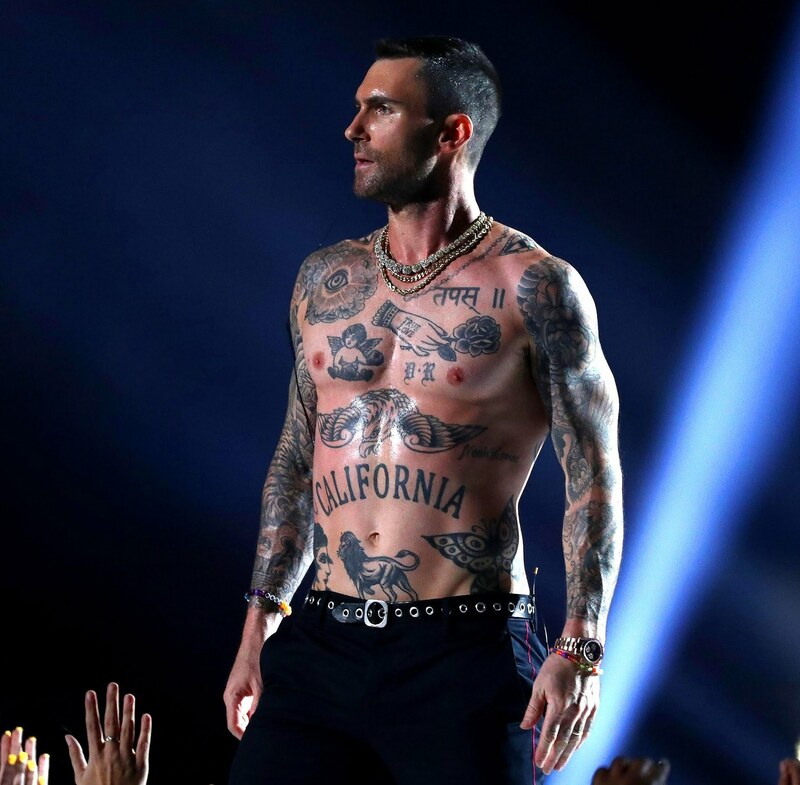 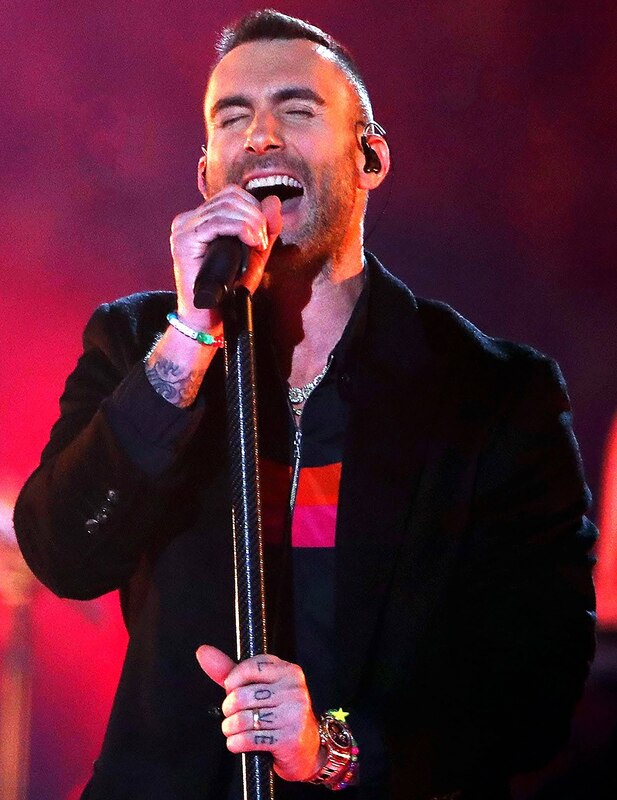 Adam Levine's performance became a little controversial when he took off his shirt during his Pepsi Halftime performance and exposed all of his tattoos, thus making some kind of bold declarative statement of sorts. Adam was born in Los Angles, California which may explain his "CALIFORNIA" tattoo. 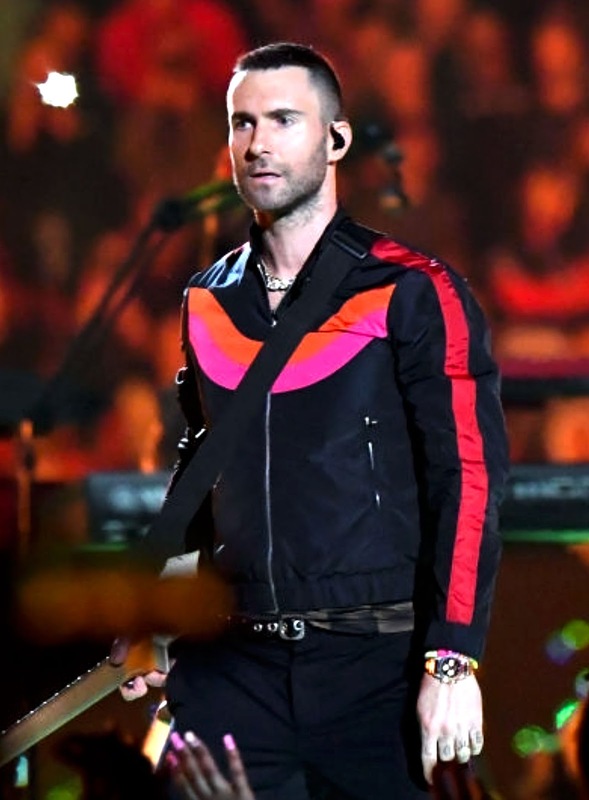 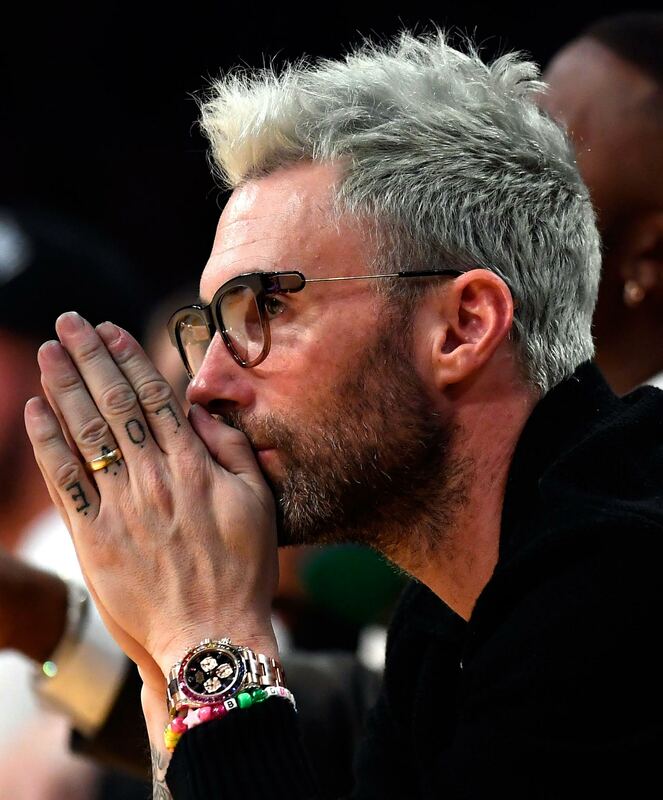 Below is a recent photo of Adam Levine wearing his Rainbow Daytona.